DatHost | DatHost – Blog | Ramblings and musings about E-Sports and games. Make sure to visit dathost.net to rent your gameserver. Playing scrims, deathmatch and league games are great for improving. However, sometimes you might be better off going in solo or with only your team on a server to practice spray patterns, grenades and executes. This blog post will cover all of the commands you might need to do so, as well as provide you with a ready-to-go practice config that you can run on your server or CS:GO client. This entry was posted in Uncategorized on August 13, 2016 by DatHost. Counter Strike: Global Offensive has grown tremendously both as a game and an e-sport over the last few years. 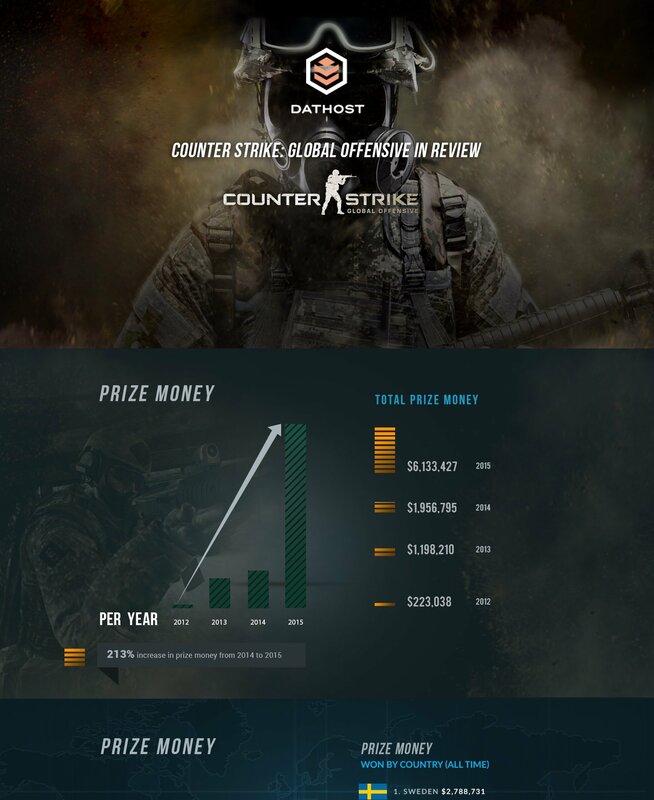 We’re huge fans of CS:GO here at DatHost and therefore we’ve scoured the web for the most interesting statistics for CS:GO, and compiled them into a large infographic. Hopefully you find it as interesting to read as it was for us to make! As a sidenote; if you’re a designer and would be interested in doing some cool things like this in the future, get in touch with anders [at] dathost.net. This entry was posted in Counter Strike, eSports on April 20, 2016 by DatHost. If you haven’t heard about Valve’s plugin policies, or don’t know exactly what they are about, this post should help inform you of what Valve’s plugin policies are and what they mean for you as a server hoster. This entry was posted in Uncategorized on March 7, 2016 by DatHost. Valve recently announced they would blacklist any servers running plugins that are offering to their players false inventories and/or profiles as a free or paid service. Essentially this refers to the so-called !knife and !ws plugins and the popular weapon paints plugins. In order to comply with Valve’s wishes, we ask all of our users to remove any plugins of this type, as running these plugins will cause your server to be blacklisted. We’ll also be actively purging these plugins from servers running with us. Running a plugin of this type will cause us to immediately delete your server with no refunds offered, as you run the risk of blacklisting your server and any other servers running on the same machine. This entry was posted in Uncategorized on July 20, 2015 by DatHost. Since April, DatHost has been expanding our presence into the U.S. market, and has since been looking for partners in the area, so that we can ensure the same great quality of our services as we have been delivering to our EU customers, and we’re now happy to announce our first partner in North America: Vault. 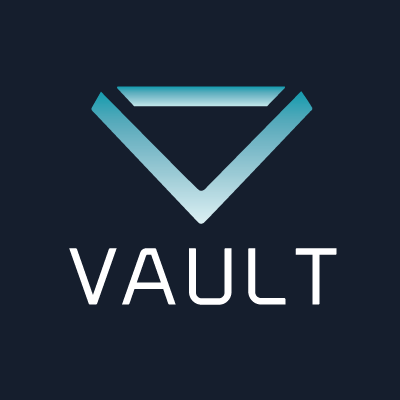 Vault is a new organization with a professional attitude, dedicated to breeding new talent and share a lot of values with us, making them a natural partner. Vault’s CS:GO squad have participated in CEVO-Main and the qualifiers for RGN NA, and have been showing a lot of potential. This entry was posted in Uncategorized on June 12, 2015 by DatHost. The wait is over – DatHost.net adds Half-Life 3 servers! Update: As most people figured out, this was an April’s fools. Thanks to everyone who laughed with us, hopefully we’ll see Half-life 3 for real some day! Nassau, Bahamas – Ever since the release of our CS:GO and Minecraft servers, people have been asking – Where will you go next? What’s the next game to have revolutionized gameserver hosting? To us, the answer was always clear, as in our minds there was only one game that could top the ones we already have. Today, we are pleased to announce the launch of our Half-Life 3 servers. This entry was posted in Uncategorized on April 1, 2015 by DatHost. Valve recently updated de_cobblestone, or cbble, after complaints on the map from the community. In short, the changes remove a lot of the large distances and instead makes the map more similar to inferno or dust2, with smaller bombsites and more cover. We love Cobblestone and think that a lot of the hate it receives is because of the map being different, but also not as explored as other maps. For example, there aren’t any great smoke tutorials out there for this map. We’ll be trying to help out the community by sharing some grenades, wallbang spots and strategies on the new cobblestone. For this post, we sat down and came up with a lot of useful smokes for Cobblestone. Our focus was on smokes with easy to remember markers and to avoid having to jump / run as much as possible, so the smokes become even more consistent. You can find our smokes below. This entry was posted in Uncategorized on February 23, 2015 by DatHost.